Support In-Sight Photography Project scholarship fund for youth to learn about photography! Bid for my photo here: Three Boats. 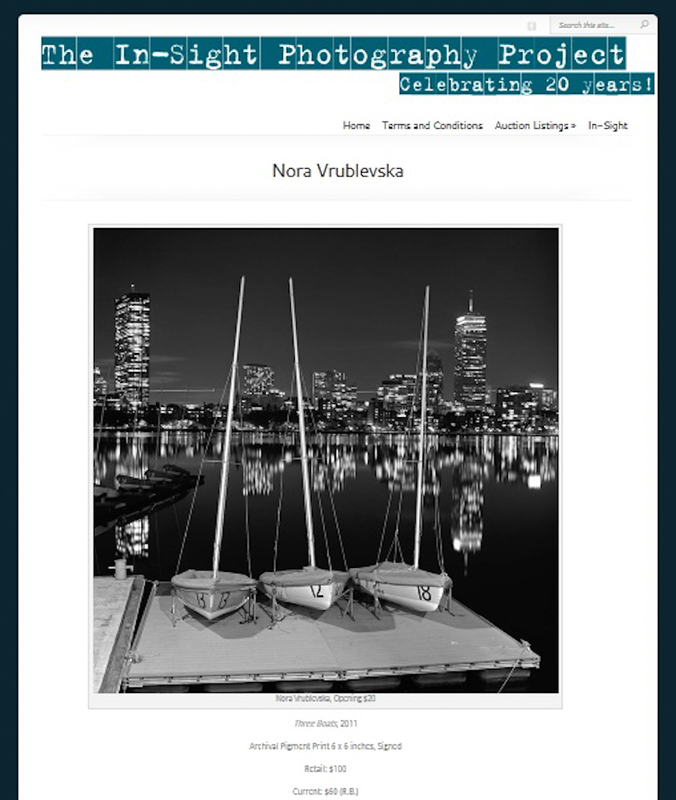 I'm participating in In-Sight Photography Project Silent Auction with my photo Three Boats. It was originally posted on my blog last November, check it out here. "Mission: The In-Sight Photography Project offers students a creative voice and outlet, an opportunity to experience success, tools for self-awareness and self-worth, and encourages them to become actively engaged in their communities. In-Sight teaches photography to youth ages 11-18 throughout Southern Vermont, regardless of their ability to pay."